Huda Beauty Liquid Matte Lipstick Swatches on Differen Skin Tones | Top Beauty Blog in the Philippines covering Makeup Reviews, Swatches, Skincare and More! Exciting news, friends! The highly anticipated Huda Beauty Liquid Matte Lipstick is now available online at shophudabeauty.com and at Sephora starting July 29th. 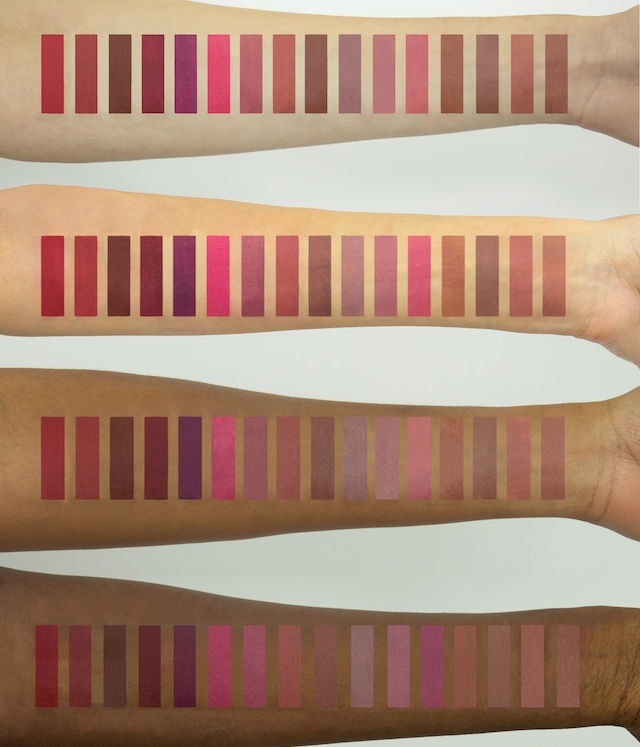 I'm sure a lot of you are looking for swatches of the shades on different skin colors that's why I've decided to create this post. Which ones do you like most? will you be picking up one? Let me know your thoughts in the comment section below. great shades for all skin tones.